Thanks to Blue Shield of California, CAABA's website has been re-launched in 2007. Come back and look for new information often. CAABA represents the interests of the Asian American business community. 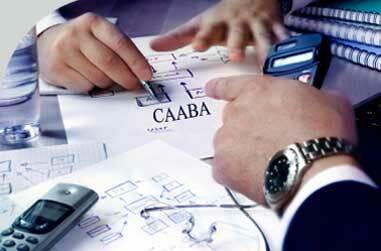 Who are CAABA's members? We are business owners in architectural, engineering, construction, law, accounting and other fields. Important Information from Department of Transportation! Caltrans District 4 Calmentor Program, click here for more information. AGC-Caltrans District 4 Mentor-Protege Program Apply before Oct 10! Click here for more information. An open letter from CAABA to San Francisco Municipal Transportation Agency regarding the Central Subway Project.